Shravana Purnima is the full moon time when at the night the whole sky is resplendent with moonlight and beaming in its glory. On this day, the festival of Raksha Bandhan is observed. It is the most important festival in India as there are many other festivals on ‘Shravana purnima’ that is celebrated all over India with much gusto. The values of this celebration are quintessentially India and are deeply embedded in the tradition and culture of India. In fact, Raksha Bandhan is essentially a festival of siblings. Regarding the other festivals on Shravana Purnima are concerned, they are celebrated with equal zest and enthusiasm. Since, India is a country of numerous states and religions, the celebrations of Shravana purnima are known by different names and are even observed according to the varying regional customs and traditions. Still, there is unity among diversity as the same festival is celebrated all throughout the nation tinged with their own regional flavor i.e. in their own way! 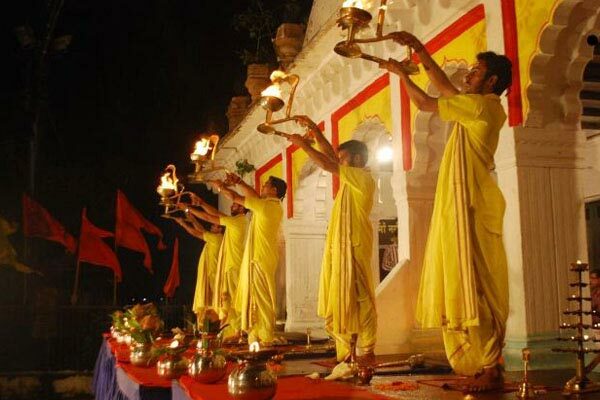 So, do you also want to know about other festivals observed on ‘Shravana purnima’? You have visited the right website. Lets together unfurl the mystery of different festivals on Shravana purnima. These are Rakhi Purnima, Avani Avittam/Upakarmam, Kajari Navami, Nariyal Purnima and Pavitropana. Rakhi Purnima is the Raksha Bandhan festival celebrated with great fervor between siblings. Avani Avittam or Upakarmam is a South Indian festival celebrated mostly in the states of Kerala, Tamil Nadu, Orissa and Maharashtra. Central India boasts of the festivity of Kajari Navami. Women of Uttar Pradesh, Madhya Pradesh and Chattisgarh are known to enjoy this festival for seven days. The Western coastal areas especially the city of Mumbai celebrate Nariyal purnima in a grand way. There is dancing and singing too. Pavitropana is observed in the Gujarat by worshipping Lord Shiva.